Tracey Zabar, jewelry designer and author of the book “Charmed Bracelets,”feels that a charm bracelet is “history on a wrist.” Charms reveal personal milestones, celebrations and possibly even tragedies. No two charm bracelets are the same, as the interests, events and accomplishments of each individual’s life varies. The charm bracelet is, in fact, just as Zabar believes--a linked display of a history. Celebrate your own life story by creating custom charm bracelets that reveal you. Mark your discoveries, personal goals, interests, loves and struggles with charms representing the many phases of your life’s journey. Before you begin collecting charms, choose a bracelet to display them. Many prefer the traditional silver link bracelets for displaying charms, but you can also find rope or corded bracelets are a modern choice. You don’t have to choose an expensive metal; gold is stunning, but silver is inexpensive and fairly easy to maintain. Silver also tends to work with more outfits. No matter what metal you choose, your charms can mix and match metals and materials. The first charm may be a gift from a loved one, but the first one also can be a charm that you choose on your own. A birthstone adds the ultimate personal display of you. Or select a figurine or mascot that you feel a kindred pull. 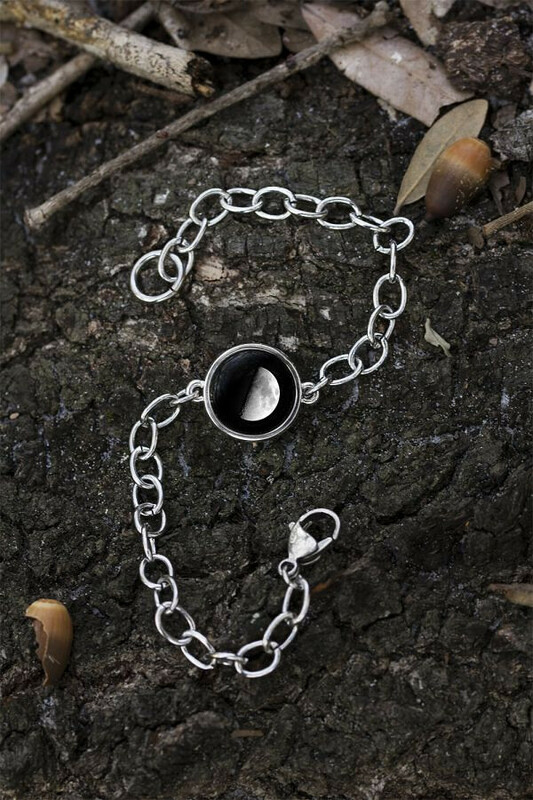 Of course, moon phase charms reveal your lunar personality and add a mystical element to your bracelet. Add as many charms to your bracelet as you like. Just make sure that each charm holds a special meaning. Gifts of charms from loved ones capture forever memories of holidays or birthdays. Traveling to a new state or country? Buy a charm to commemorate your visit. Choose landmark charms or custom flag charms. A monumental life milestone should be marked with a new charm. For marriage, ring or wedding cake charms symbolize the big day. A new baby means birthstone charms or engraved charms with the baby’s name and birthdate. Sometimes, however, a charm may hold a more somber meaning. To remember a lost loved one or a particular hard moment in your life’s journey, choose your charm carefully. Moon phase charms may capture life’s happiness as well as the darkness of sadder days. Remember a loss with the soft glow of the moon…or choose a personalized moon phase charm to remember the birth of someone special. 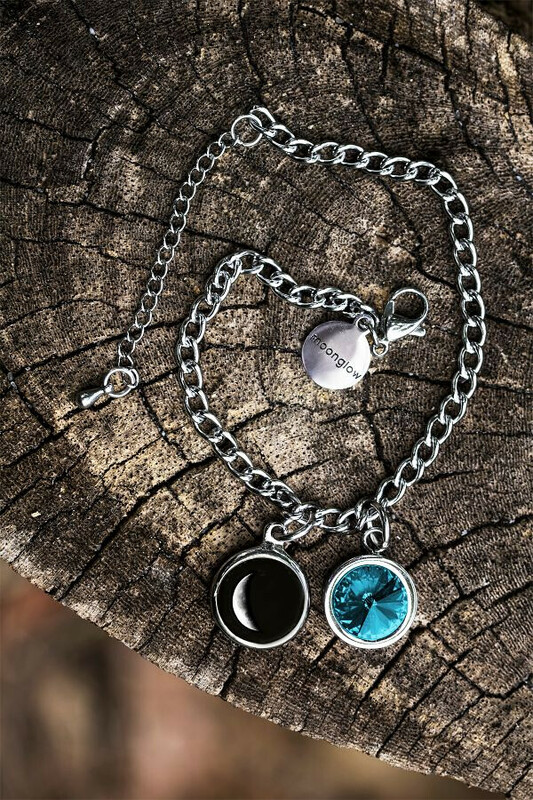 You also can use moon phase charms to mark the moments in life that changed and shaped you. Perhaps the moon’s soft glow holds a reminder that life—like the moon—waxes and wanes only to glow in full force once again. Promotions, new relationships, a lifelong friendship or even a big move may be the shift that can only be captured by the moon that was on display that exact day. Charm bracelets will never go out of style. They are a display of our personal stories and our life’s milestones. Choose charms that tell your story to create your own wearable piece of art and history. One day, those charms may be passed down…and they will serve as a reminder of the life you made and the journey you traveled.